UC San Francisco and UC Berkeley researchers have mapped out how the Zika virus infects the developing fetus, and have found an antibiotic that blocks these routes of infection, at least in human tissue culture and placental explants. While this antibiotic may not be a practical way to prevent the Zika virus from entering the fetus, the new understanding of how the virus can get from mother to fetus and the placental model systems the researchers developed could lead to drugs that will be effective. The findings, published today in the journal Cell Host & Microbe, comes as the virus, spread by mosquitoes and linked to a fetal deformity called microcephaly as well as Guillain-Barré syndrome in adults, has spread throughout South and Central America and is heading toward the southern U.S. Microcephaly, presumably caused when the virus crosses from an infected mother to the growing fetus in the first two trimesters of pregnancy, is characterized by a small head and serious brain damage leading to physical and learning disabilities and sometimes convulsions. The UCSF/UC Berkeley team found that the virus has two potential routes to the developing fetus: a placental route established in the first trimester, and a route across the amniotic sac that becomes available only in the second trimester. The study of human tissue in the laboratory found that an older-generation antibiotic called duramycin blocked the virus from replicating in cells that are thought to transmit it along both routes. 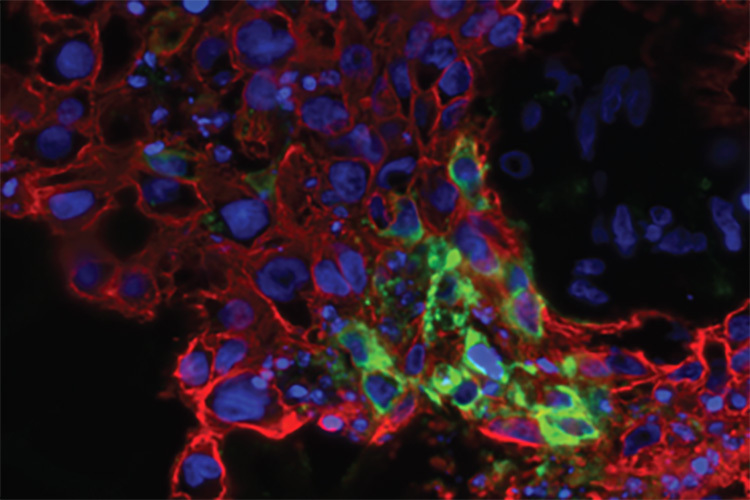 The Zika virus, which the researchers examined in isolated cells and intact tissue explants, was found to infect several different placental cell types, including cell types within the placenta and outside the placenta in the fetal membranes. 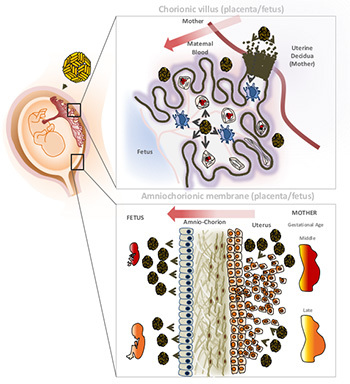 The scientists found that the epithelial cells of the amniotic membrane surrounding the fetus were particularly susceptible to Zika virus infection. Other authors of the paper are postdoctoral fellows Henry Puerta-Guardo, Daniela Michlmayr and Chunling Wang of UC Berkeley and Takako Tabata, Matthew Petitt and June Fang-Hoover of UCSF.